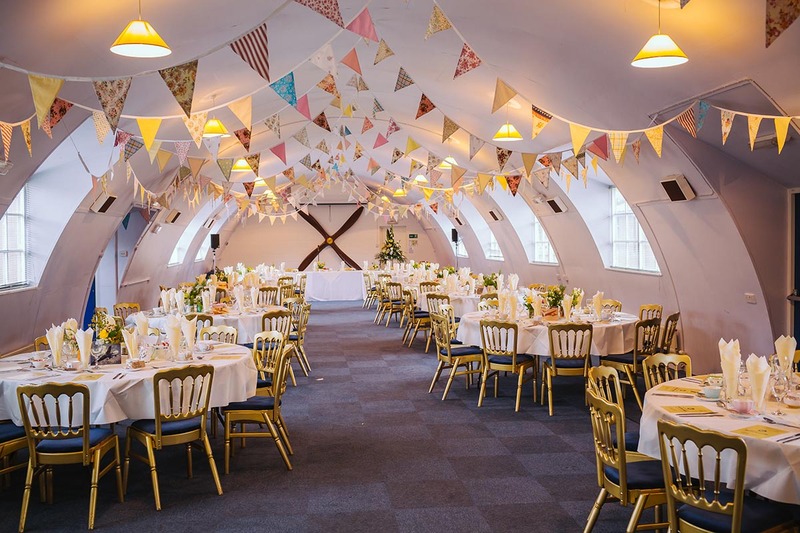 The Museum’s Elvington Room and adjoining NAAFI restaurant are an increasingly popular venue for group and parties looking for a venue in York. Each Christmas The Derwent Lions Club hosts over a hundred Senior Citizens for a Christmas event at the Yorkshire Air Museum. They are served a buffet tea and entertained by local entertainers with a Christmas sing along. This provides a great opportunity for people to get together and have a chat and socialise with each other with some of them not seeing each other from one year to the next. December 2017 marked the 15th anniversary of this charity event and the Museum team were proud to help the Lions create a special day out for everyone. Derwent Lions was founded in 1972 and is part of the International Lions Club charity, the largest of it’s kind in the world. The museum provides a perfect venue with plenty of parking and its location close by the City of York. With their guests arriving in a combination of private cars and larges coaches, the ample on site parking at the Museum was a particular benefit as well as the easy access to the less able guests who enjoyed the buffet lunch and celebrations. 2018 is showing more interest that ever in the Museum as a venue for hosting special celebrations, corporate events or other large exhibitions. If you have an event in mind in the York area, contact our events team to arrange a visit or discuss your project.